Have you heard about the newest makeup brand, Poise Makeup Professional? I was fortunate enough to receive products from this newest brand of professional makeup to hit PH shores. Poise Makeup are classified as professional makeup and not just high-end (MAC) or luxury makeup (Estee Lauder, Chanel) . The colors are customized to different skin types (dark, medium and light) and makes any skin look fresh, flawless, and perfectly natural. Their products are used by famous makeup artists in US and Europe (list would be provided by Rose Dinh) and in popular TV shows like Glee, CSI New York, other TV series (list would be provided by Rose Dinh). Poise makeup is also paraben free and not tested on animals. Their products are high grade and made in US not in China. Their products are rich in minerals and infused with vitamins and anti oxidants. Malibu is a gorgeous matte peachy coral shade. Coco is a deep grayish brown while Luv is a muted beige with a wash of peach. I love mixing both shades. I dab the liquid lipstick as a base and finish it off with Boca. 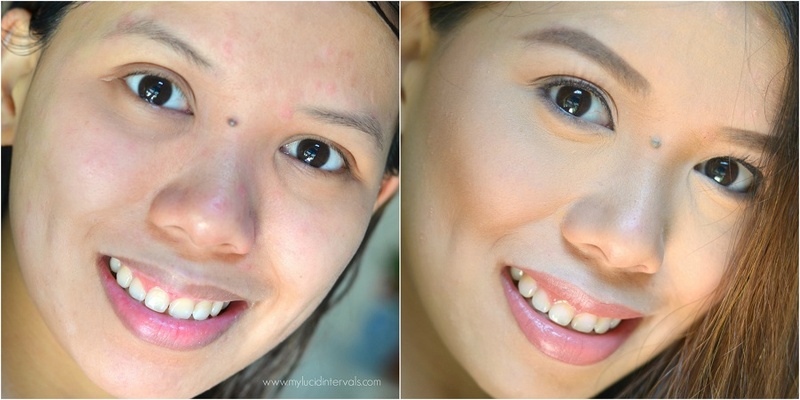 Here is a before and after photo using Poise makeup. On the left photo, my redness and rashes are very obvious. On the right, Poise Mineral pressed powder magically covered up my rashes. It even made my skin look healthy. I used the blush in Malibu and Boca plus notorious on the lips. Here are other kaartehan shots showing hoe beautiful my skin looked with Poise Makeup.On my lids, I used Luv and Coco to define my crease. Overall, I love their products a lot esp. The powder, blush and eyeshadow!! The price is a bit steep. This makeup brand is perfect for soon to be mom like who is looking for a paraben free makeup brand.